In this collection, Naresh not only expresses the intricacies of the minds and hearts of individuals, but also society and the decline of fine human values. FOR more than five decades, poetry has been Dr Naresh’s medium of expression. The poet chooses the genre of ghazal to communicate with readers the many facets of life and the times we live in. A celebrated ghazal writer in Urdu, Naresh has also simultaneously composed ghazals in Hindi. His first collection of Hindi ghazals, Pipasait Mann, released this week. Ghazal, explains the former professor of modern literature at Panjab University, is a genre of poetry which was borrowed by Urdu poets from Persian. It became so popular in India that, even today, lakhs of readers and listeners are avid fans. From Urdu, it made inroads into other Indian languages, particularly Hindi. 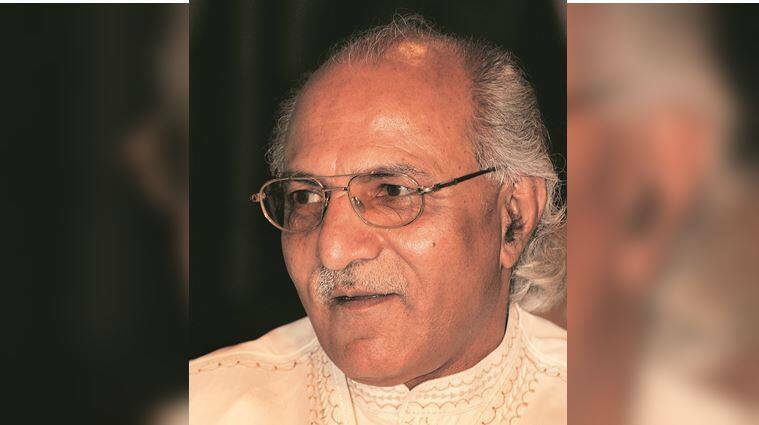 Naresh, who has authored 72 books in Urdu, Hindi, Punjabi and English, is widely considered to be the first scholar of Hindi ghazal, whose book Ghazal: Shilpa aur Sanrachna, was widely read and acclaimed in early ’90s. He penned another book, Hindi Ghazal: Dasha aur Disha, in 2004, in which he evaluated ghazal writing in Hindi. “In two lines you have to share your complete thought, that too in complete continuity and that is a challenge. Human feelings are the basis of my ghazals and I feel both the appreciation and readership for poetry has increased over the years, with the internet playing a big role,” says the poet, who has received numerous awards, including the National Award for his book, Chintan Aur Mulyankan. In this collection, Naresh not only expresses the intricacies of the minds and hearts of individuals, but also society and the decline of fine human values. “I keep my eye and ears open and, through my poetry, show people a different course. As a poet, you have to be conscious of not sermonising, but in a subtle way make people aware of their lives and thoughts,” he says.